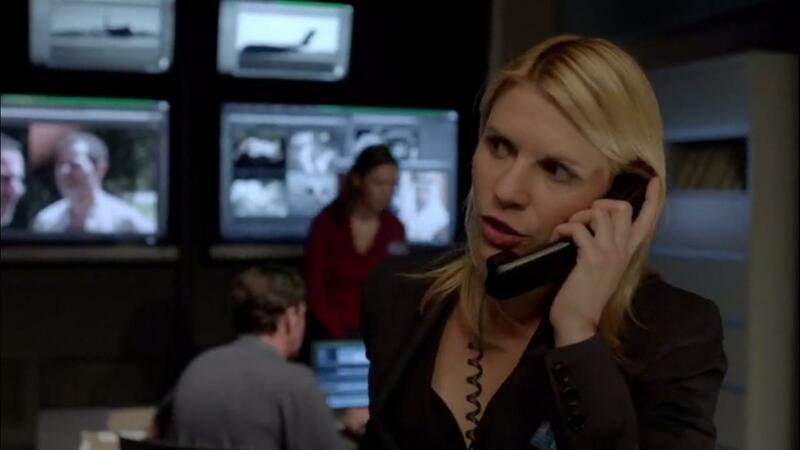 I began watching Homeland for no particular reason. I was bored by my daily hectic schedule; and so when an acquaintance offered me the entire series I accepted his hand willingly. I had already gone through snaps of it on Star World when the first season was being aired, and must say that I did find the storyline quite engaging. Originally based on the Israeli television series Prisoners of War, Homeland is a breathtaking account of an American soldier who was captured by the Al-Qaeda and then subsequently turned into a spy for the same terrorist group. 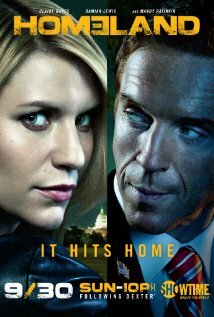 The two main characters of the story are Claire Danes as Carrie Mathison, a Central Intelligence Agency officer with bipolar disorder, and Damian Lewis as Nicholas Brody, a U.S. Marine. 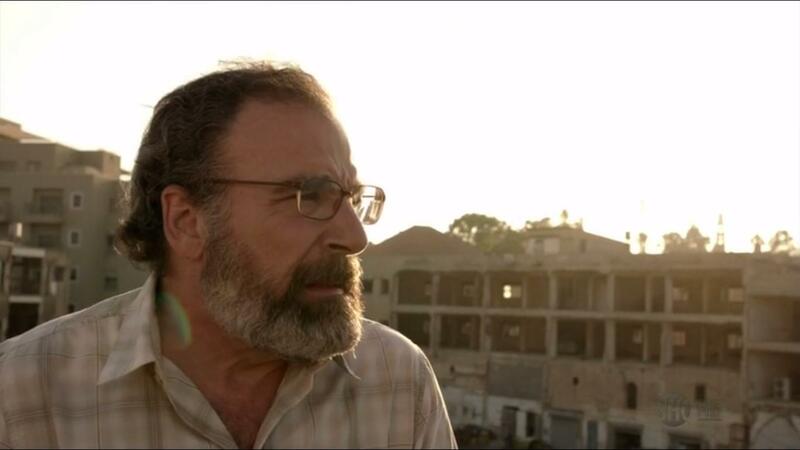 Apart from them, the series also includes Mandy Patinkin as Saul Berenson, Carrie’s mentor and the CIA’s Middle-East Division Chief, and Morena Baccarin as Jessica Brody, Brody’s wife who struggles to adjust with Brody’s return to her life. The story revolves around Brody’s come back to his home after a rescue operation in Iraq during the American Invasion. As a war veteran he has a new status in his home, and has a lot of trouble adjusting mentally and physically to the long period of absence that he had been forced to go through. Confronted with a media curiosity and a changed home environment, Brody feels alien to the life that he had dreamt of everyday since his departure to the Iraq war. But the real twist comes when we find that Brody is actually a converted Muslim, and that he is working for Abu Nazir, the Al-Qaeda leader under whom he had been held captive for four years. Ever since his widely broadcasted return to the US soil, CIA agent Carrie Mathison firmly believes that the man is not what he is portrayed to be, and is working as an undercover Al-Qaeda operative. This results in Mathison following Seargent Brody to different places, and eventually culminates in a love affair. At the close of season 2 we finally see that Brody has managed to convince Mathison that he is not working for the Al-Qaeda anymore, and that he is truly in love with the CIA agent. Homeland might succeed in becoming a widely popular television show all over the globe, but at its core it remains shaped by the ordinary American’s mistrust of Muslims and Arabs in particular. But on this note, there remains only minimum hint to why Abu Nazir is intent on destroying America, and his Paletinian refugee background is talked of only once and that too by one of his accomplices. Secondly, the series capitalizes on the pseudo-psychology that all Arabs are to be viewed as terrorists. Racism is rampant in the way the CIA profiles prospective suspects and accomplices of Brody, and the whole idea of the series is a misconstrued American perception that Arab Muslims are a narrow-minded, monolithistic group whose only intention is to destroy America. And in this regard, the show fails completely in presenting the roots of the problem, while continuously demonizing and antagonizing a particular race as the backdrop and the result of a root cause.In short, it represents the core principle that dominates the American foreign policy in the Middle-East. Also, the way Beirut is presented in the show is a huge overstatement of the facts on the ground. Known as the Paris of the Middle-East, Beirut lays its claim to be a city safer than even New York and London. And exactly how the city can be a safe haven for an operating terrorist group has been questioned by many critics. Additionally, the show demonstrates Hezbollah and Al-Qaeda operating together from Beirut to carry out attacks on the American soil——something that is factually flawed since the two groups are ideologically contrasting and actually are enemies of each other. But perhaps, the most horrifying message of the show is that it is permissible to kill innocents—-even children—-as we see how a drone attack blows up an entire school of more than 80 children just because Issa, Abu Nazir’s son was present in that school, and consequently Abu Nazir was wrongly informed to be in that area as well. The slaughtering of the 82 children is seen as a mere collateral damage that can be undertaken to save America from any external threats, and the fact that impunity commands this detestable action once again conveys a wrong message to the audience. Overall, although Homeland might be one of the most happening television shows throughout the world and is currently being aired in many different languages and countries, the award-winning series characteristically portrays the growing discord and misconstrued perceptions against specific religions and races in the West. While there is no doubt that the show is extremely entertaining and draws a lot of fans all over the globe including the US President Barack Obama, the fact remains that at its essence Homeland remains constructed from preconceived notions and gullible beliefs about people from diverse cultures.